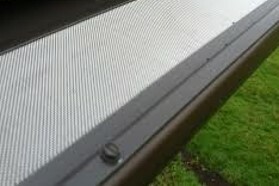 Stainless steel mesh capable of keeping 100% of all internal clogging agents from entering the gutter system. Requires routine, simple sweeps of filter to maintain the effectiveness of passing water from the roof into the internal water excavation system. 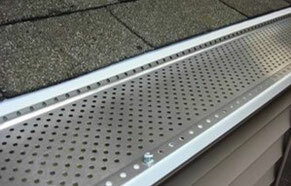 Perforated aluminum debris shield, capable of maintaining gutters free of clogging material. 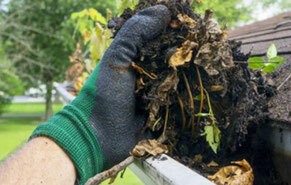 95% effective in keeping internal portions of gutters and drainage system free from clogs. Requires fewer routine sweeps to remain effective at passing water from roof to gutter. Manual cleanings require zero routine sweeps but are 0% effective at keeping internal clogging debris from entering the gutter system. To keep the system functioning, it is recommended to do 3-4 cleanings per year.